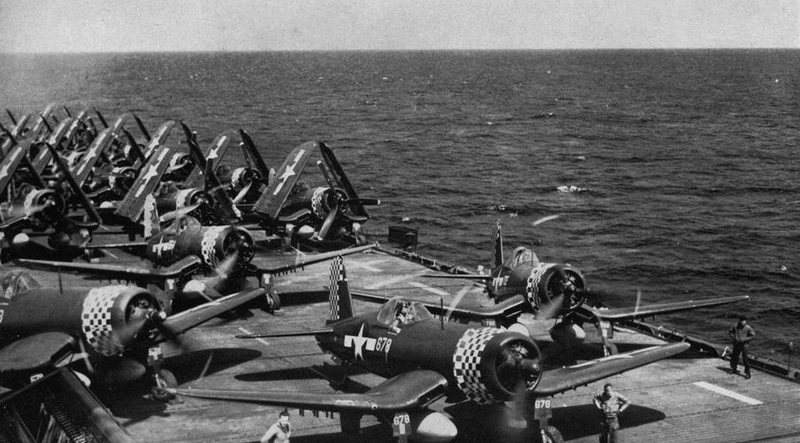 Although outclassed by the new generation of jet fighters and chiefly used in the close air support role, during the Korean War a number of U.S. Navy and Marine Corps F4U Corsairs were sent up against the night raiders that North Korea sortied over UN lines after dark, and it was in an F4U-5N nightfighter that Lt Guy Bordelon became the U.S. Navy’s sole ace of the conflict. Nevertheless, as told by Warren Thompson in his book F4U Corsair Units of the Korean War, on Sep. 10, 1952 Capt. 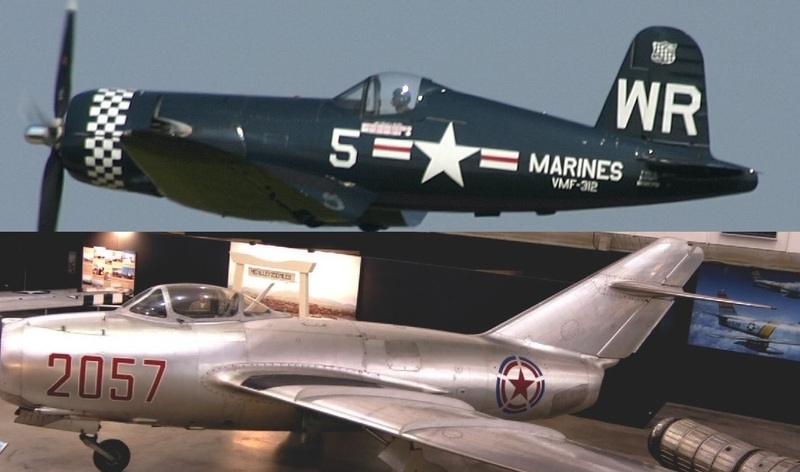 Jesse Folmar flying a Corsair from VMA-312 was able to destroy one of two MiG-15s that had bounced both him and his wingman. Between August 1950 and December 1952, the light carrier Sicily supported strikes into North Korea by F4U units VMF-214 (1950) VMF-323 (1951) and VMA-312, which operated from the ship between Sep. 4 and Oct. 19 1952. On Sep. 10, 1952, an interdiction and close air support mission called for maximum effort, and the ship launched a large number of the ‘Checkerboards” F4U-4Bs. Capt Jesse G Folmar was leading one division, and during the course of the mission he and his wingman, Lr Walter E Daniels, would be involved in an historic encounter with some aggressive MiG-15s. Taking off at 1610 hrs, they were ordered to attack a troop concentration on the south side of the Taedong River, close to Chinnampo. “As we crossed the coast and headed into enemy territory, we begs executing a tactical weave at 10,000 ft. Arriving over the target area, we observed no activity, so we continued to fly reconnaissance in the area of the Taejon estuary. As we started to bank over a small island off the coast, I caught a glimpse of two MiG-15s in the early stages of setting up for firing pass on us. They were in loose section formation, so I steepened the angle of my banking turn into them, while at the same time increasing power. I jettisoned all external ordnance and fuel tanks and then switched to the guard channel to report that we were being attacked by MiGs. I told Lt Daniels to fly a much tighter weave, and not to let the communist lees out of his sight. “Seconds later, I spotted two more of them closing rapidly from my ‘eight o’clock’. I turned hard to the left, trying to bring my guns to bear before they could open fire, but due to their rapid closure, I was unable do so. Their tracers were overshooting us, so I reversed my bank to the right and turned inside one of the MiGs as he started a climbing left turn. I pulled up and got him squarely in my gunsights, giving him about 20 mils’ lead. I then triggered off a long five-second burst with my four 20 mm cannon. Folmar transmitted the search and rescue distress signal and repeated his position, before getting ready to bale out. Whilst he was doing this another MiG made a firing pass at him, but its shells went wide. At 3000 ft he rolled out of the right side of the cockpit and fell clear. Just as pulled the D-ring on his parachute, he heard an ear-splitting noise, and he looked up to see another MiG firing at his stricken Corsair. 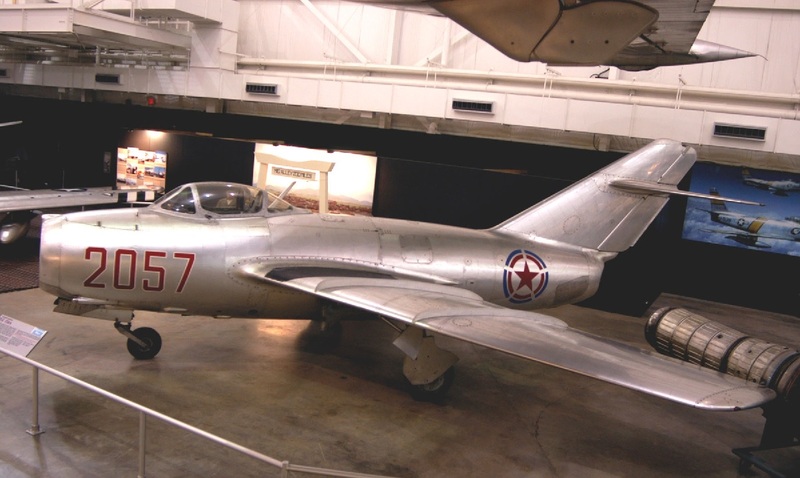 Seven MiG-15s remained in the area, but they departed as soon as Folmar hit the water. He estimated that he was in the sea for about eight minutes before being rescued by an SA-16 Albatross ‘Dumbo’. F4U Corsair Units of the Korean War is published by Osprey Publishing and is available to order here.